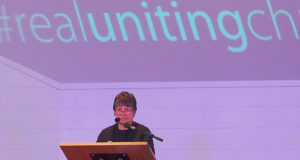 The activities of Trinity College Queensland were the main focus of the Board for Christian Formation (BCF) report to the 33rd Synod delivered by chairperson Rev Stu Cameron on 23 October. 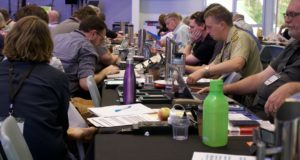 As the Synod’s primary vehicle for the delivery of education for ministry, the board is responsible for the overview of the college along with the selection of candidates for ministry, continuing education and the reception of ministers. “In a post Christian culture there are seismic changes at work in our church but also in our culture that opens up a future that is full of opportunity and also challenges,” Stu told Synod. 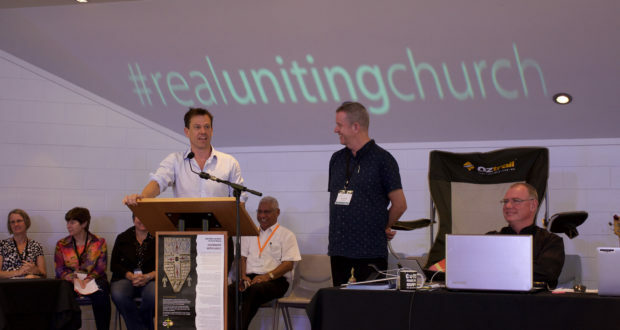 For all these ruches of tradition, scholarship, reverence and community connection, Stu said that a critical challenge ahead is “calling and equipping and sending lay and ordained”. Among the highlights since the last Synod, Stu outlined the implementation of the Future Ministry Model endorsed in June 2016. The model focuses on providing flexible educational activities that produce mission-ready graduates capable of renewing congregations and planting new church communities. 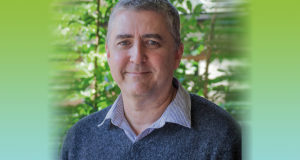 In line with this direction, BCF has appointed new Trinity faculty under principal Dr Leigh Trevaskis to teach both accredited and non-accredited courses, reducing the FTE of Trinity College Queensland from 11.5 to 8.5. The college also has moved to reaccreditation with the Adelaide College of Divinity, dissolving the partnership with St Francis Theological College. Stu described the initiatives designed to create new student catchments; Trinity Unplugged (short events aimed at discussing difficult questions or issues), new short courses (especially aimed at groups from congregations) and courses for lay preacher’s certificates. Synod heard the encouraging news that in spite of the loss of ten FTE students (from16.25 FTE in 2016) training for ordination in the Anglican Church, Trinity enrolled 12.75 FTE students (made up of 29 different people) in Semester 1, 2017 and aims to attract more than 22 FTE enrolments in Semester 1, 2018. A further initiative is the 2018 launch of Activate, a one-year, three-day-per-week program for school leavers and those within the 18–23 years age. Under the leadership of coordinator Simon Gomersall, Activate will provide a range of purposeful learning and spiritual growth opportunities with the aim of grounding a new generation of people in faith. Other significant initiatives in the BCF report include endorsement of a new formation program for Uniting Church ministry candidates. The new program aims to empower a candidate’s local missional context to oversee most of his or her formation for ministry, with a focus on developing mission-ready church leaders. There are three foundational components: formation panels, a supervised placement program and formation intensives. With the new Future Ministry Model now underway, the BCF report identified a number of risks as well as opportunities for growth. 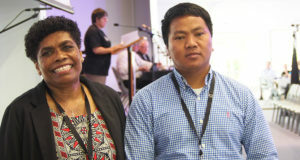 Chief among these is the mandate from Synod to demonstrate that Trinity College Queensland can move towards financial independence before the end of 2019. 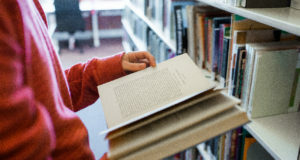 The report noted that achieving this goal will be dependent on the development of a new supply of students and the creation of an appetite for theological education at the grassroots level of congregations. 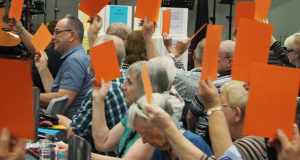 There were a number of questions from the floor of Synod reflecting concern that former faculty members had not been honoured for their service by Minutes of Appreciation. Other questions and comments referred to the need for Trinity to rebuild confidence in the faculty and the institution.